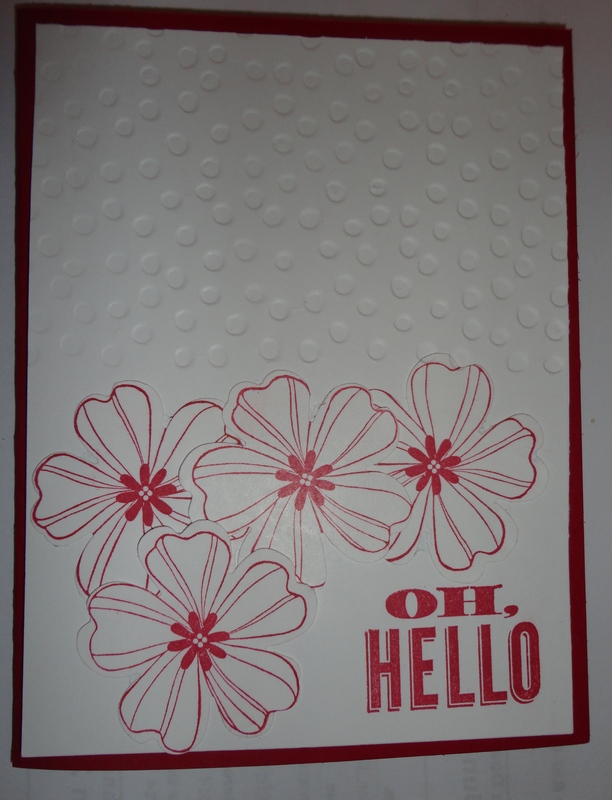 This is a quick card using the SAB 14 embossing folder, Oh Hello, and Flower Shop stamp sets. This entry was posted in Class, Flower Shop. Bookmark the permalink.